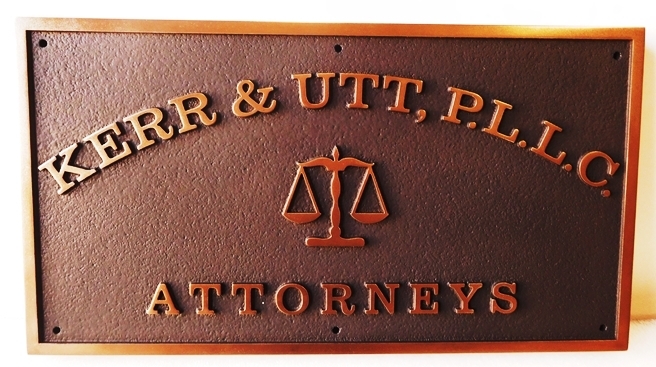 Above is a sandblasted in a sandstone look, carved, HDU, sign for Attorneys: KERR and UTT, P.L., L.C. The sign is painted using high-gloss, brass metallic paint for text, borders and the Scales of Justice. The paints used are automotive-grade, highest-quality Matthews paints, followed by a double application of highest-quality Matthews clear coat for added durability and UV protection.